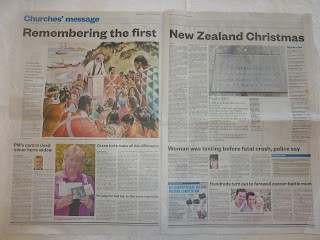 This is a Christmas message I wrote on behalf of the Auckland Church Leaders which was published in the NZ Herald on pages A6-7 Dec 24 2011. Christmas is a unique time. For some it is a time for family and friends, festive cheer, gifts and a good excuse for a holiday. For others, it is a time of sadness as they remember lost loved ones, or face deprivation and abuse. For yet others, it is regarded as just a fairytale. For Christians, Jesus is the reason for the season—a precious time when believers all over the world pause, remember and celebrate the birth of Jesus who we believe to be the saviour of the world. Not many at the time of Christ’s birth realised its significance or anticipated its impact. The story is set in obscurity far from the seats of ancient power. It is shrouded in mystery with accounts of prophetic predictions, angelic visitations, a pregnant unmarried virgin, a child placed in a humble manger, local shepherds and wise men from afar paying homage, a massacre of children, and more—this just begins the amazing story of Jesus. Thirty years later Jesus began his ministry preaching stunning words of wisdom, healing the sick, calling people to follow him to experience God’s salvation and urging a radical ethic of love without prejudice for all people, even one’s enemies. Finally, he was crucified, buried, and then came even more mystery—claims of his resurrection from the dead. Such claims were taken seriously by his followers, many of whom gave their lives to spread the message, setting ablaze a movement unprecedented in human history. Some 280 years later, the most powerful Empire in the world adopted the Christian story as its own. As time went on, the gospel message penetrated through and beyond the Roman world, eastward through Asia, westward into northern Europe and south into Africa. Christian faith became the dominant factor in shaping European history. At its best, it is a glorious story of sacrificial love and service, as many followers of Jesus contributed powerfully and positively to build the world we live in today. At its worst, Christianity became implicated in the political intrigue and oppression of the secular powers it allied itself with. So it is that some people find the Christian story something to be reviled, while others find in Christianity the very meaning of their existence. For 2000 years, the story of Jesus has been going global. In the 15–16th centuries the scope of Europe expanded greatly as they discovered the Americas, Australia and Oceania. They chose a variety of ways to interact with these new worlds. Some wished to trade, others to settle and make a new life for themselves, and some to exploit. Yet others with high ideals and missionary enthusiasm sought to share Christianity with the peoples of these nations. 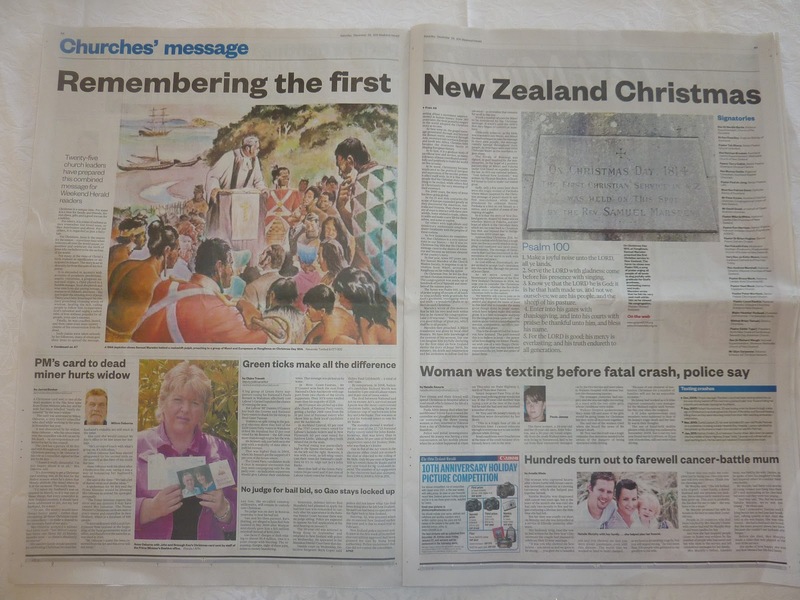 As New Zealanders we remember too, that Christmas is a very special time in our history—for it was on Christmas Day 1814 that the Christian message came to the shores of Aotearoa and became an intrinsic element of our country’s story. In that year, some 197 years ago, Rev Samuel Marsden of the Church Mission Society, in response to an invitation from Māori, arrived in Rangihoua on his waka the Active. 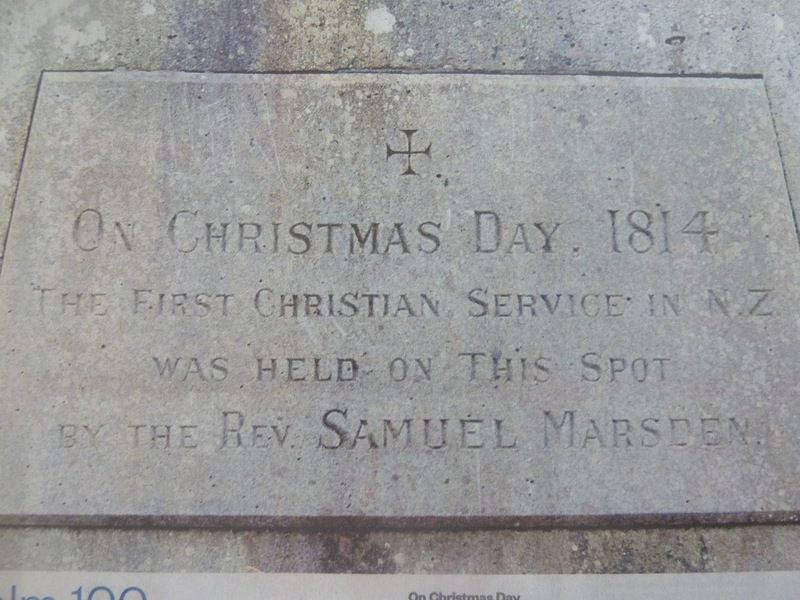 On Christmas Day, he led the first on-land Christian missionary service. The congregation was made up of hundreds of local Ngapuhi and members of the mission party. The hymn was Psalm 100, a song of praise urging all people of all lands to sing joyfully with gratitude for God goodness, everlasting mercy and truth—a wonderful psalm to reflect on each Christmas. Marsden wrote of this moment that he felt his very soul melt within him as he viewed his congregation. Luke 2:10 was read—“Behold, I bring you good tidings of great joy, which shall be to all people.” Marsden then preached. A Māori translation was given by local chief Ruatara. We have little knowledge of the content of his sermon, but one can imagine him joyfully declaring for the first time on New Zealand shores the story of Jesus’ birth, his ministry, his death and resurrection and his invitation to follow God for salvation—an invitation that remains for us all to this day. It took a number of years for Māori to be convinced by the Christian message. 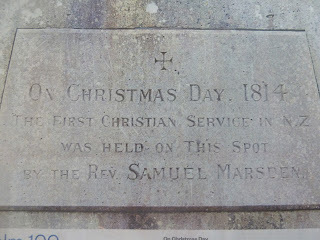 It wasn’t until the 1830’s that they began to convert in numbers. Ultimately however, as the Bible was translated into Māori, and Māori themselves began to take the message to their own people, the message rapidly spread throughout their people. By 1842 there were over 3000 Christian Māori in the northern region alone. 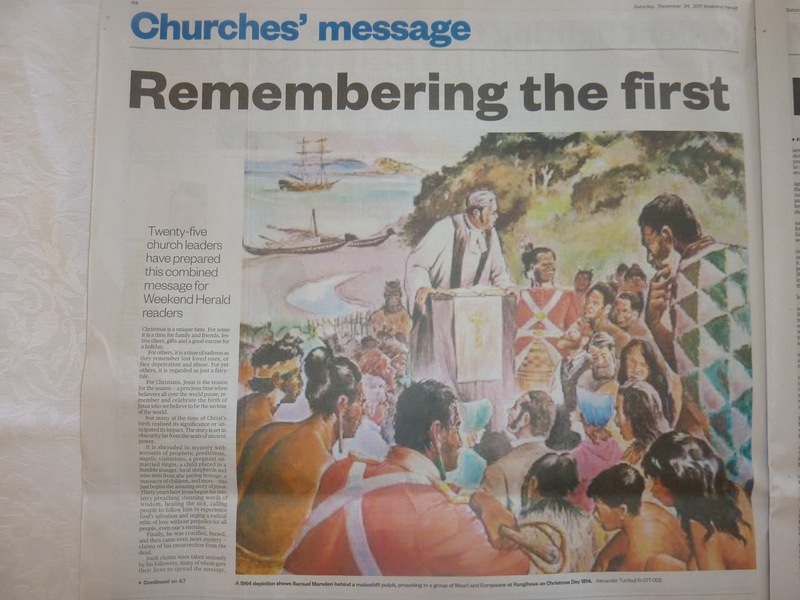 The Treaty of Waitangi was signed, in part inspired by the missionaries, in the hope of a positive partnership of Māori and Pakeha under God based on equality under the law. In 1876 our national anthem, “God defend New Zealand,” was written by Thomas Bracken, a heart-felt hymn to God to make our nation great. Sadly, only a few years later there were the tragic events of Parihaka where Māori (inspired by the Christian message of peace) stood in unified non-violence while being plundered by colonial forces. Parihaka is a blot on our history as a nation, and a symbol of some of our ongoing struggles. 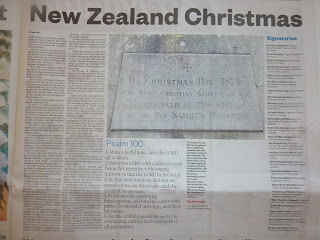 So it is that the story of New Zealand goes on, shaped by many stories whether Māori or Pakeha, not the least of which is the Christian story which we can trace back to Christmas Day 1814, and beyond that to Bethlehem some 2000 years ago. Approaching Christmas 2011, we live in a nation which has had a tough year; we live in a world which is struggling and confused and faces many uncertainties. The message of Christmas is that God has intervened in the messiness of our world to walk with us in love and peace. As God-with-us (Emmanuel), we are invited to accept God’s invitation into this new life, through the person of Jesus Christ. 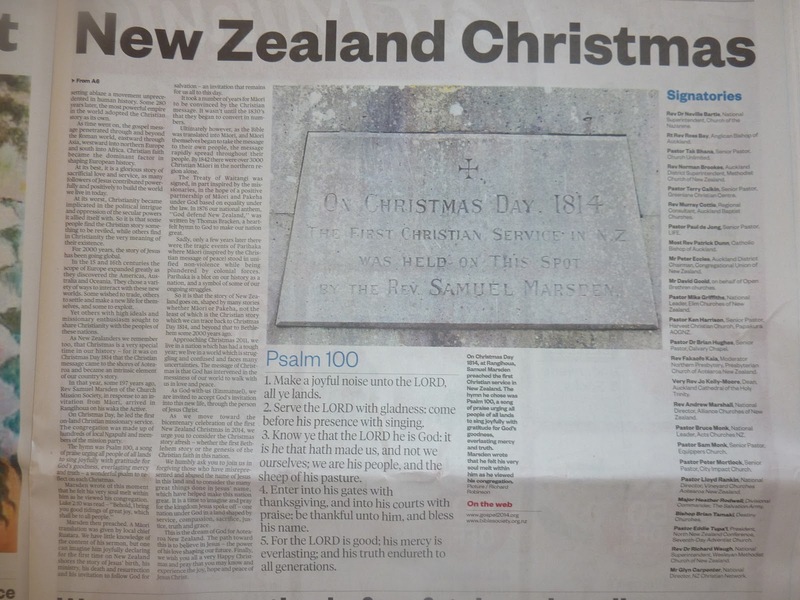 As we move toward the bicentenary celebration of the first New Zealand Christmas in 2014, we urge you to consider the Christmas story afresh—whether the first Bethlehem story or the genesis of the Christian faith in this nation. We humbly ask you to join us in forgiving those who have misrepresented and abused the name of Jesus in this land and to consider the many great things done in Jesus’ name, which have helped make this nation great. It is a time to imagine and pray for the kingdom Jesus spoke of—one nation under God in a land shaped by service, compassion, sacrifice, justice, truth and grace. This is the dream of God for Aotearoa New Zealand. The path toward this is to believe in Jesus—the power of his love shaping our future. Finally, we wish you all a very Happy Christmas and pray that you may know and experience the joy, hope and peace of Jesus Christ. - Rev Dr Neville Bartle, National Superintendent, Church of the Nazarene. - Rt Rev Ross Bay, Anglican Bishop of Auckland. - Pastor Tak Bhana, Senior Pastor, Church Unlimited. - Rev Norman Brookes, Auckland District Superintendent, Methodist Church of New Zealand. - Pastor Terry Calkin, Senior Pastor, Greenlane Christian Centre. - Rev Murray Cottle, Regional Consultant, Auckland Baptist Churches. - Pastor Paul de Jong, Senior Pastor, LIFE. - Most Rev Patrick Dunn, Catholic Bishop of Auckland. - Mr Peter Eccles, Auckland District Chairman, Congregational Union of New Zealand. - Mr David Goold, on behalf of Open Brethren churches. - Pastor Mike Griffiths, National Leader, Elim Churches of New Zealand. - Pastor Ken Harrison, Senior Pastor, Harvest Christian Church, Papakura AOGNZ. - Pastor Dr Brian Hughes, Senior Pastor, Calvary Chapel. - Rev Fakaofo Kaia, Moderator Northern Presbytery, Presbyterian Church of Aotearoa New Zealand. - Very Rev Jo Kelly-Moore, Dean, Auckland Cathedral of the Holy Trinity. - Rev Andrew Marshall, National Director, Alliance Churches of New Zealand. - Pastor Bruce Monk, National Leader, Acts Churches NZ. - Pastor Sam Monk, Senior Pastor, Equippers Church. - Pastor Peter Mortlock, Senior Pastor, City Impact Church. - Pastor Lloyd Rankin, National Director, Vineyard Churches Aotearoa New Zealand. - Major Heather Rodwell, Divisional Commander, The Salvation Army. - Bishop Brian Tamaki, Destiny Churches. - Pastor Eddie Tupa’i, President, North New Zealand Conference, Seventh-Day Adventist Church. - Rev Dr Richard Waugh, National Superintendent, Wesleyan Methodist Church of New Zealand. - Mr Glyn Carpenter, National Director, NZ Christian Network. Was looking for your name? Just the anon writer. Same as Easter. Have a great Christmas friend. Hi, ӏ do think thiѕ is an еxcеllent ωebsite. І ѕtumbledupon it ;) I maу геvisit once again ѕince I ѕavеԁ as a favorite it. Mοney and freedom is the best wау to changе, may you bе rich anԁ continue to guide οther people. Thаnks fοr sharing уour thoughts on certainly.